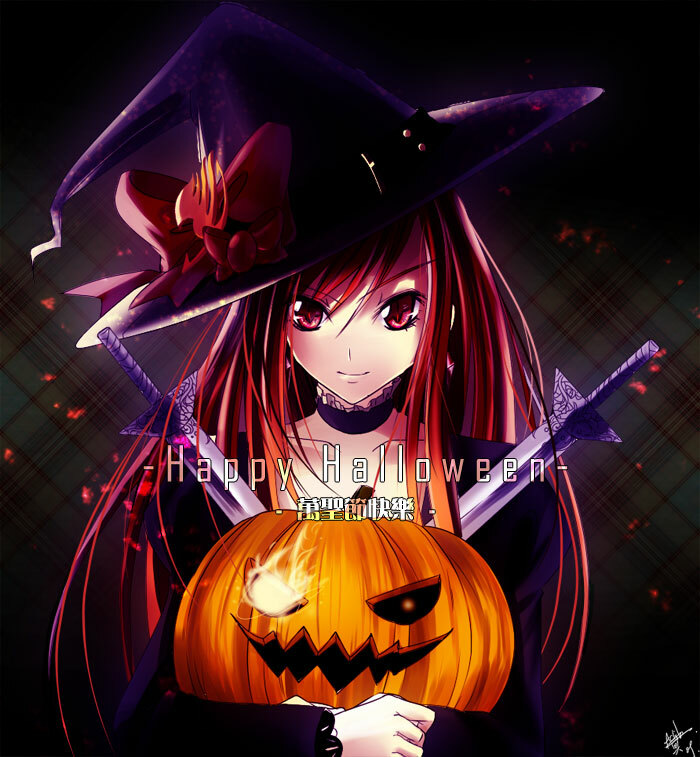 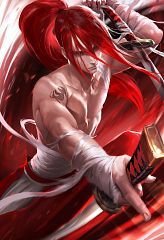 613 anime images in gallery. 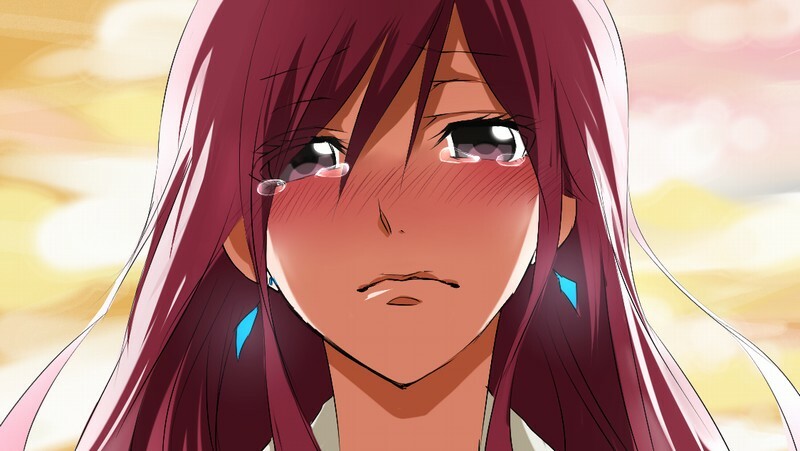 Tagged under FAIRY TAIL, Ohara Sayaka and Boku & Dragons - Collaboration Characters. 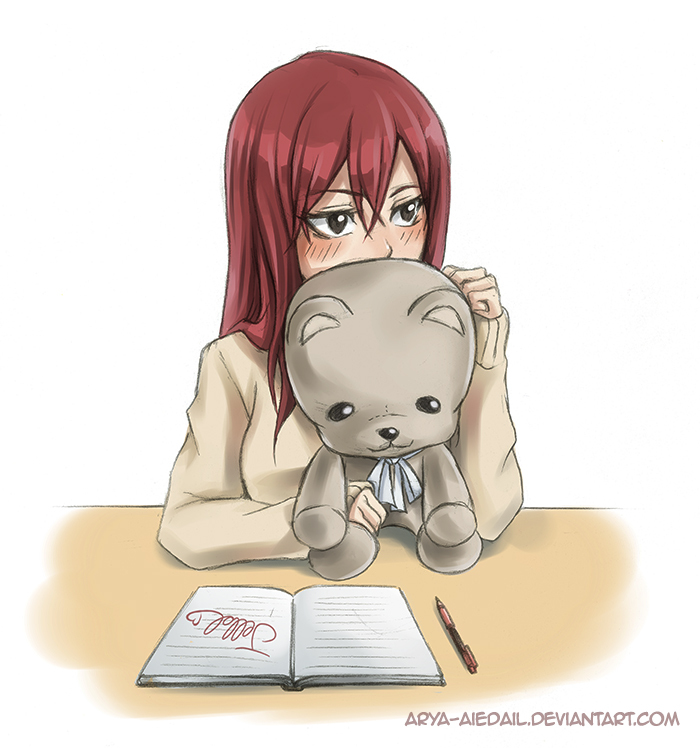 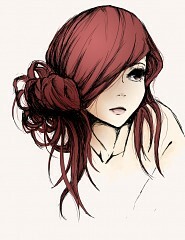 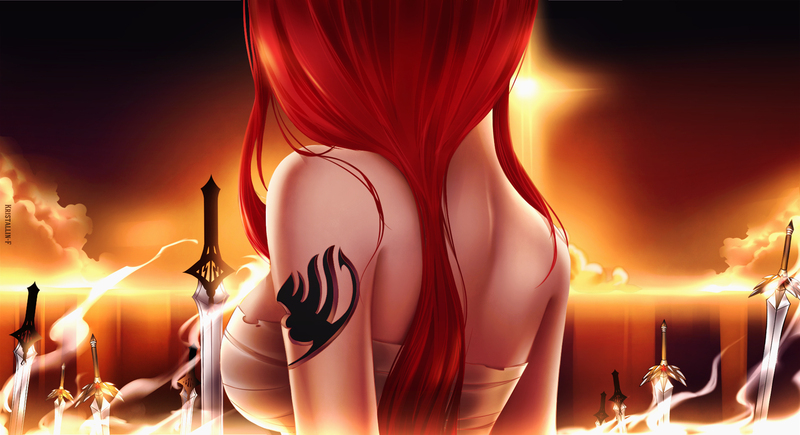 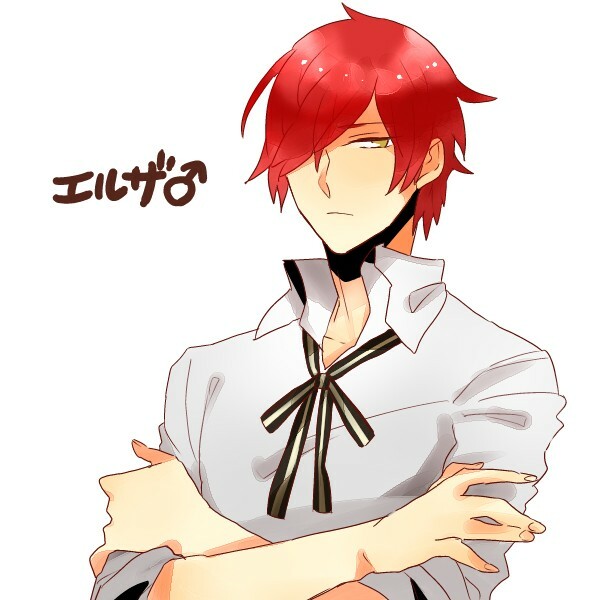 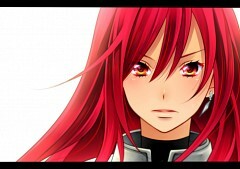 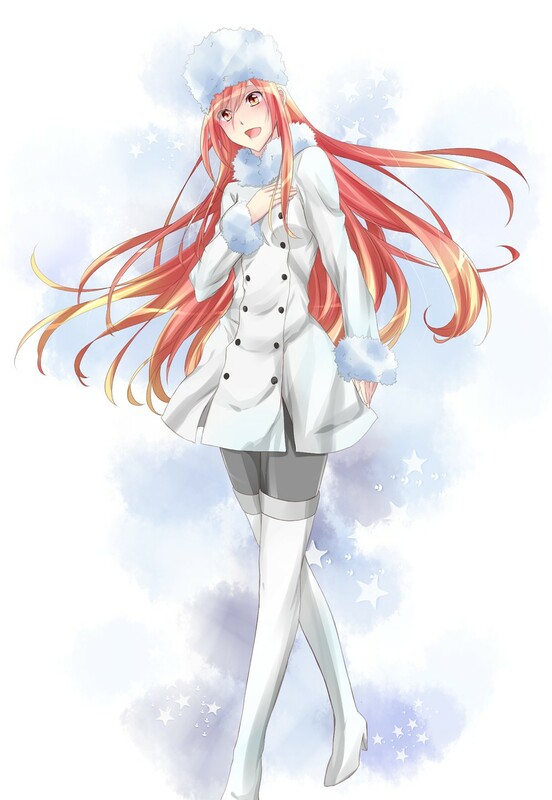 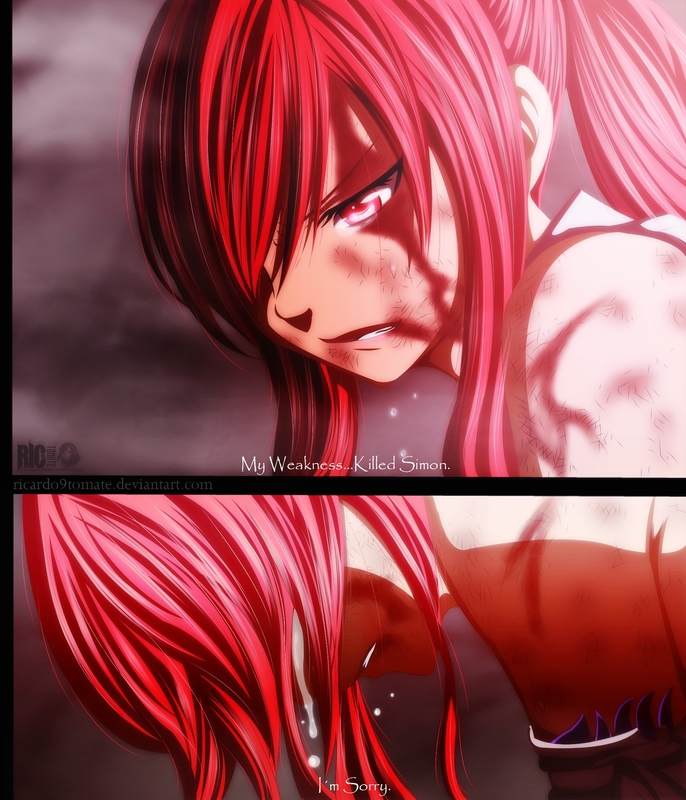 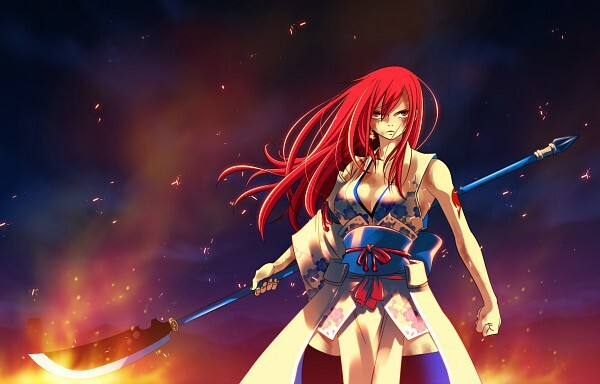 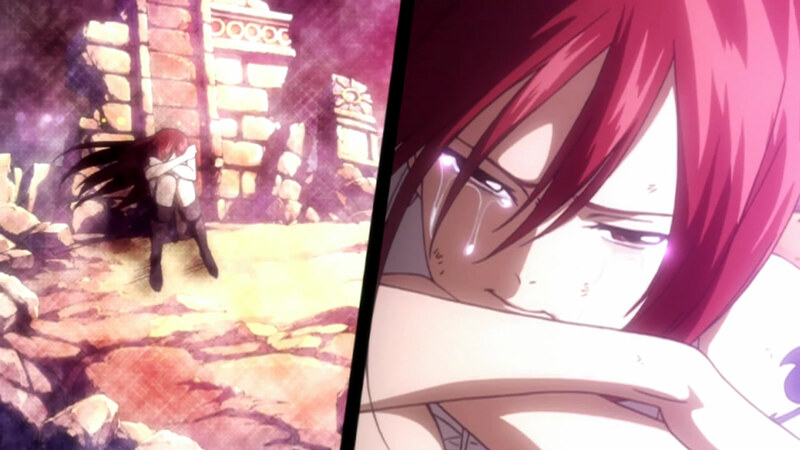 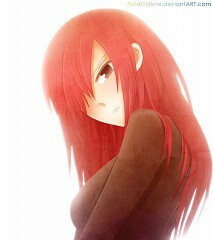 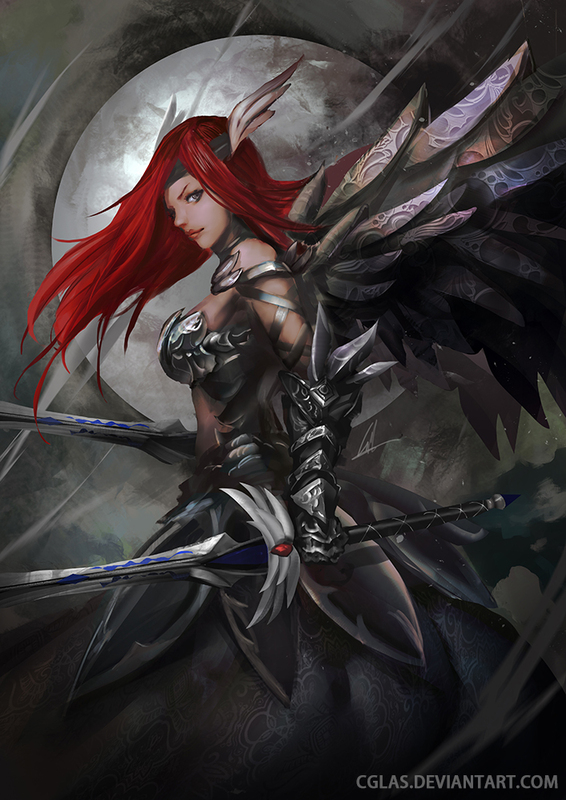 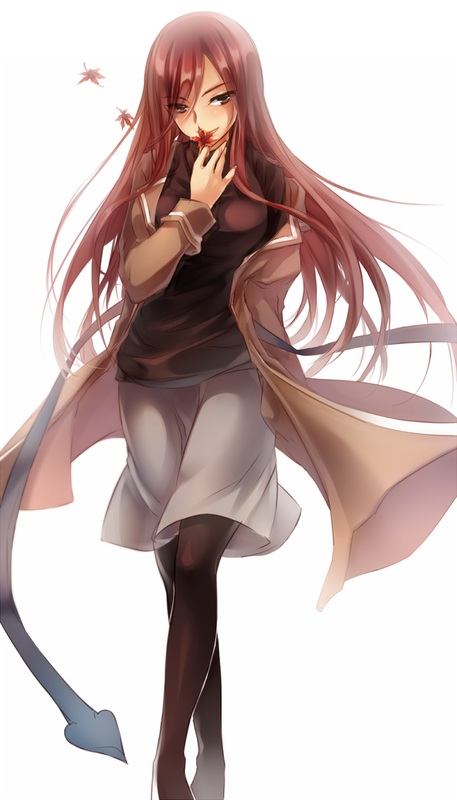 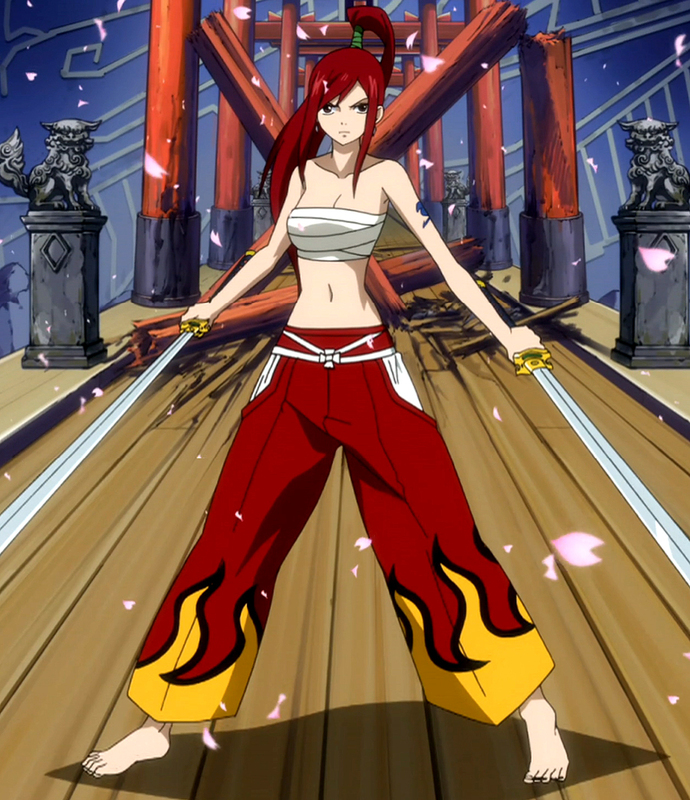 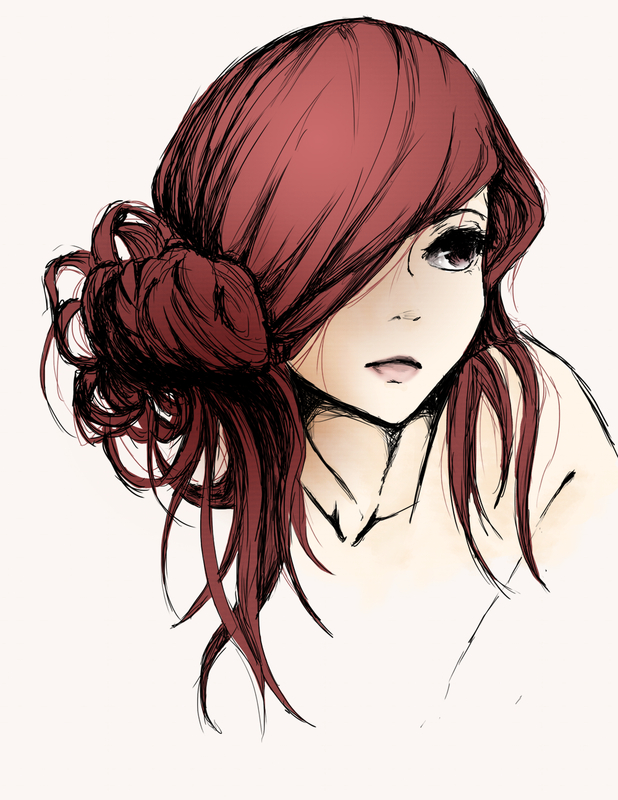 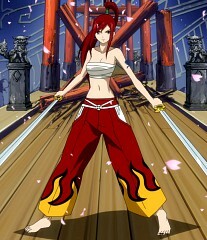 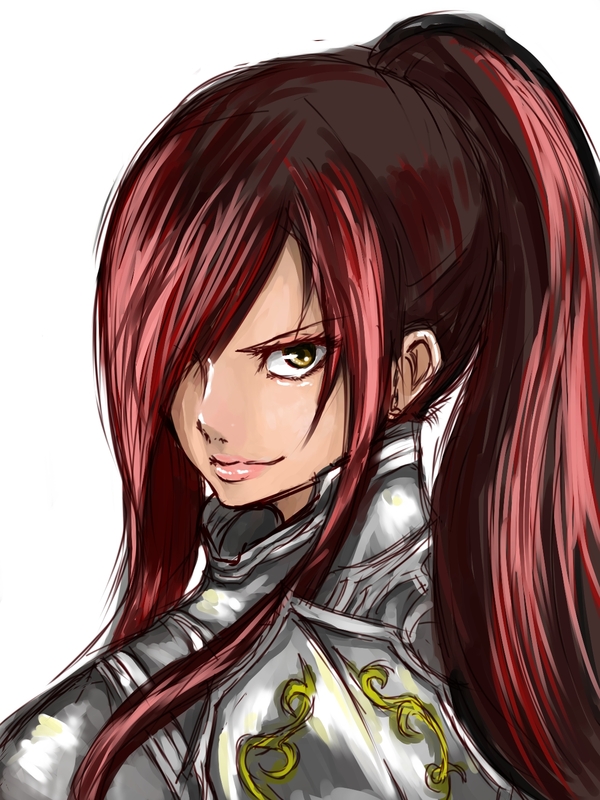 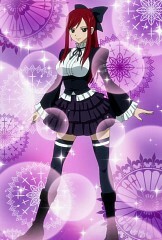 Erza is a young woman who has long, scarlet hair and brown eyes. 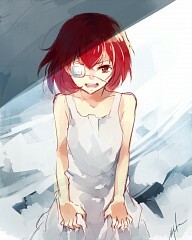 She also has an artificial right eye made by Porlyusica, which replaced the one she lost as a child. She has a slender figure that Lucy describes as amazing and, like most females in the series, she has large breasts. 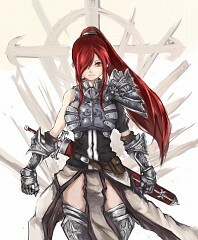 Her most common attire consists of a custom-made armor by Heart Kreuz smiths, a blue skirt, and black boots. 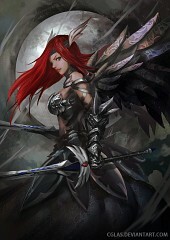 Her Fairy Tail stamp is blue and located on the middle of her left upper arm. 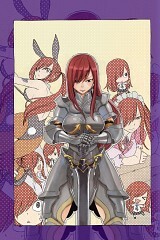 Erza specializes in Requip Magic, and uses it to requip not only armor, but different outfits as well, allowing her to change her attire at any given time.